Greetings Fellow Xerazains, Following up on the previous patch, based on your feedback and our observastions, we are applying such changes to the game: Table of Content Buffed Frost Gazi and increased its HP. Buffed Hell Overlord and increased its HP. Frost Zuri now can be affected my ice ... Learn More. Greetings, Xerazians. 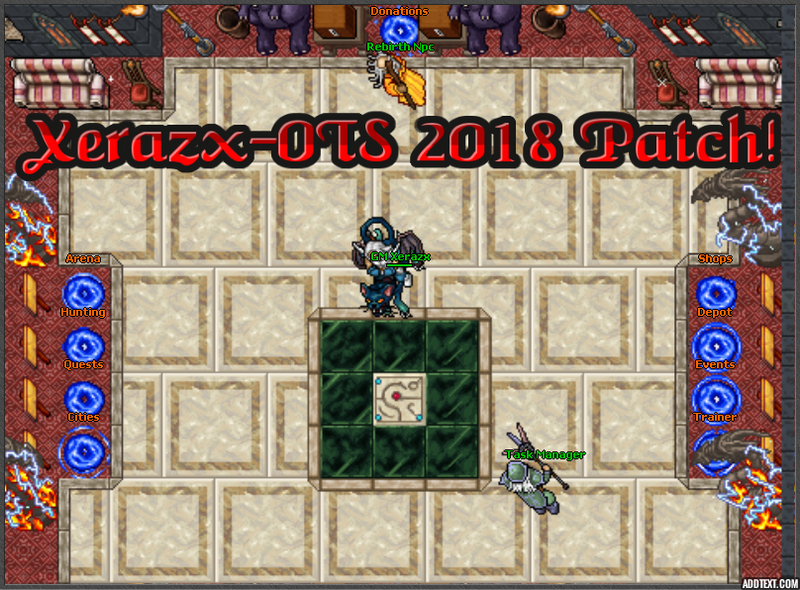 Welcome to Xerazx-OTS 2018 Patch, the one with a cavalcade of changes to tune things up. We've still got one more patch after this to make more adjustments in terms of balance and hunting, but the conversation will be basically the same as it will be for two more weeks from ... Learn More. Hey Xerazains, Welcome to Xerazx-OTS Summer 2017 Update - This update we are bringing various changes to the game, new content, and definitely PvP changes. Our objective is to transform the game into something that is self-healing, self-competiting, and continuous challenging game-world, either ... Learn More. Xerazians! Today we are officially announcing an extremely rewarding outcome of our long-run of passive-updates; passive updates are those updates where we are mainly working off-stage i.e. without posting that we are actually working on something. These are technical updates which usually focuses ... Learn More.